Watch Exclusive Video of marchers attempting to prevent skeptical banner from being seen. 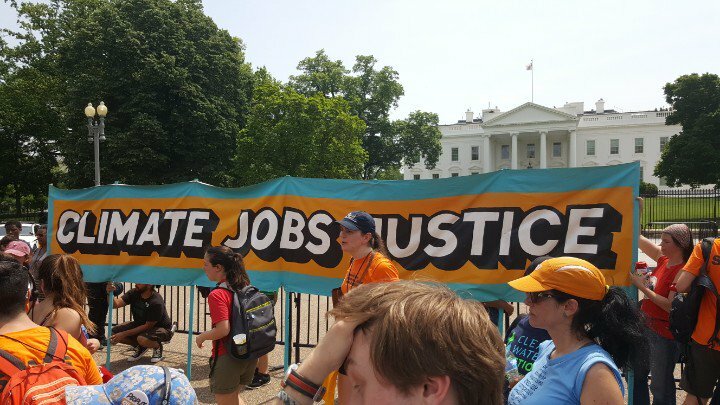 The People’s Climate March initially officially rejected climate skeptics’ media credentials, despite the group being being pre-registered for media passes and meeting all requirements. 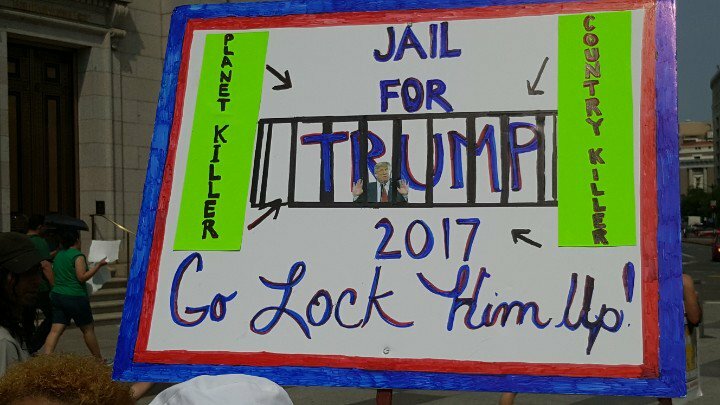 March organizers informed us that we were “not a credible” news outlet and were therefore being denied media credentials which would have granted us access to speaker and VIP areas of the march. Prior to being told we were rejected, the organizers had given no indication that there was any kind of issue. After submitting our registration for media passes, we received regular media updates throughout the week. 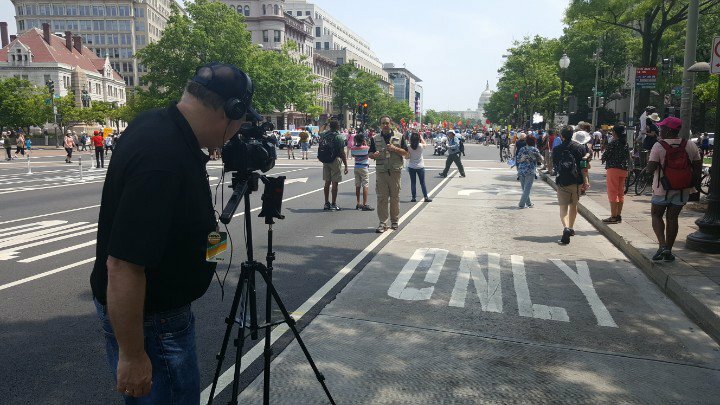 But a few hours later, The People’s Climate March reversed their decision and issued media credentials for us at the march…sort of. We went to the main media tent and asked why we were not allowed to be credentialed. We saw on the media list that our entry on it had a huge red line through it, implying that we had been approved, but then red lined out and rejected. After hearing that “space was limited” and “I only work here” and “not sure” why you can’t get credentials, we were directed to one of the heads of credentialing who finally approved our passes. I asked “ Do you really want another Berkeley” style incident here? But even though we finally received our press passed, we had already missed most of the VIP area media availability, so the passes came a bit too late to have a full access to the attendees. When we were finally allowed into the VIP area, Senator Sheldon Whitehouse recognized me from time as a former Sen. Inhofe staff as the Director of Communications for the Senate Environment & Public Works Committee and from the film “Merchants of Doubt” which smears climate skeptics (and which Whitehouse had a special screening on Capitol Hill). Suddenly, interviews were not available to me as Senator’s handlers said sorry, no interviews. 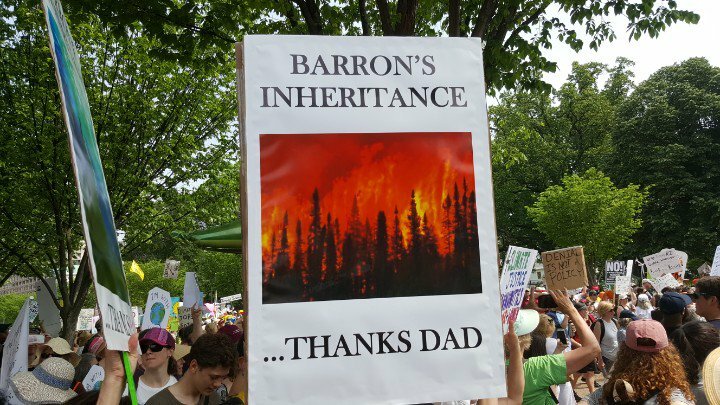 It reached absurd levels when I went to get coffee at the hospitality table, everyone greeted me cheerily, but then a man came up and said “You know he is a climate denier.” The mood of the volunteers changed immediately after I was outed. Just as I was reaching for the creamer, a lady picked up the box of creamers and recoiled back so that I could not have it for my coffee. 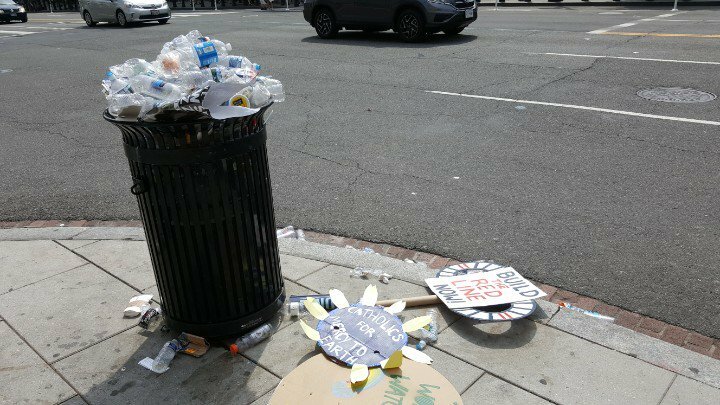 It appeared for a moment that the People’s Climate March was going to take a stand and deny a “climate denier” cream for his coffee and refuse me service. I responded: “You are really going to deny me coffee creamer” because I am a skeptic? She then relented and allowed me two creams for my large coffee. Incident avoided, coffee enjoyed. Interview after interview was shut down when word spread that we were the dreaded “deniers” in the media VIP area. My interview with Sierra Club President Aaron Mair was nixed after only one question. I was just about to ask him about his run in with Sen. Ted Cruz and the Sierra Club being fossil fuel funded when his staff intervened after a man “outed” me as a “climate denier and the interview abruptly ended. Meanwhile, the skeptics banners were not faring too well at other parts of the march. 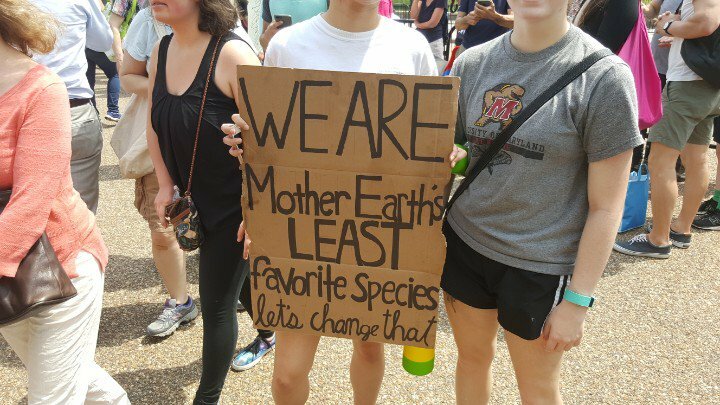 The truck with skeptical climate banners was not well received at the march. At one point one of the marchers challenged the driver of the truck to fist fight. 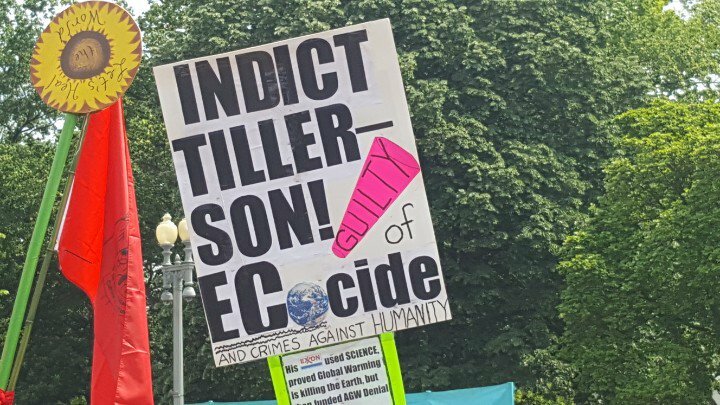 Other marchers repeatedly gave the middle finger to the banners. 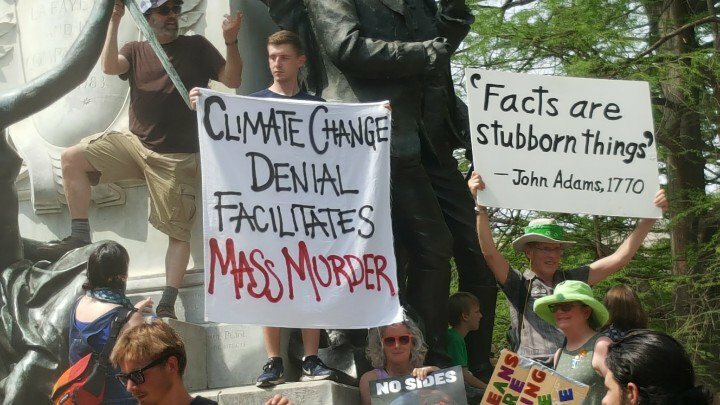 The banner, reading “The Science is NOT Settled.” was under constant assault with marchers who refused to allow the message of climate skepticism to be seen. 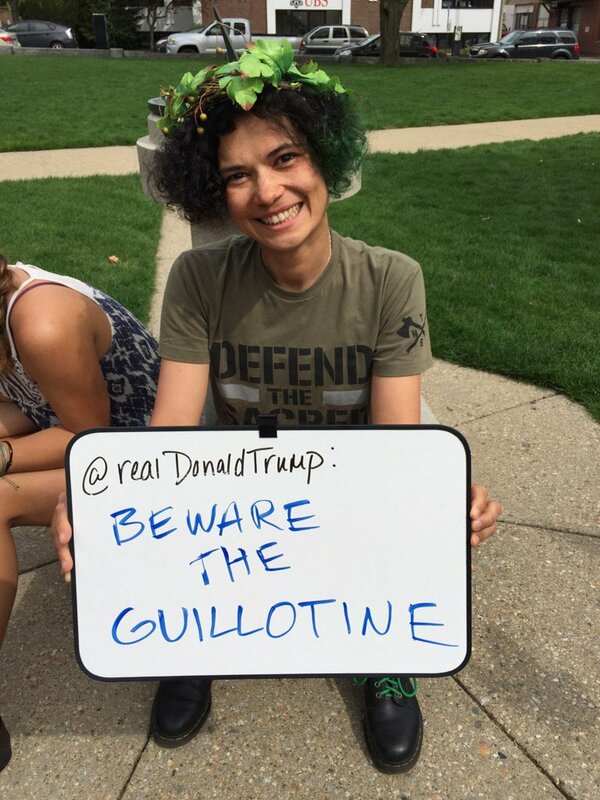 Many marchers either blocked the sign, harassed the people holding or ran into it with their bodies, all in an attempt to silence any skeptical message. 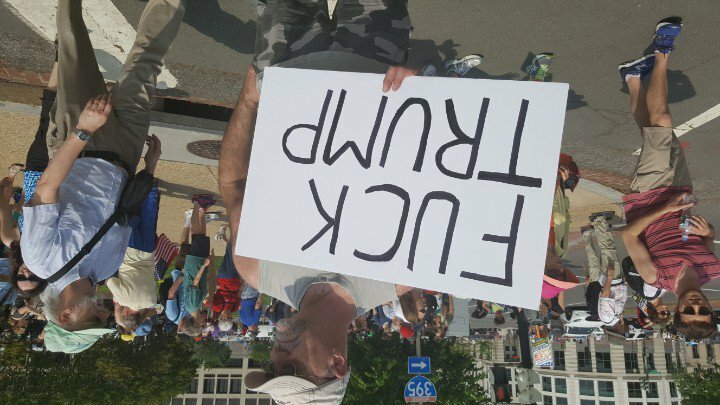 Many marchers grabbed the banner and tried to take it down to the ground and physically stood in front of it to prevent anyone from reading the message. 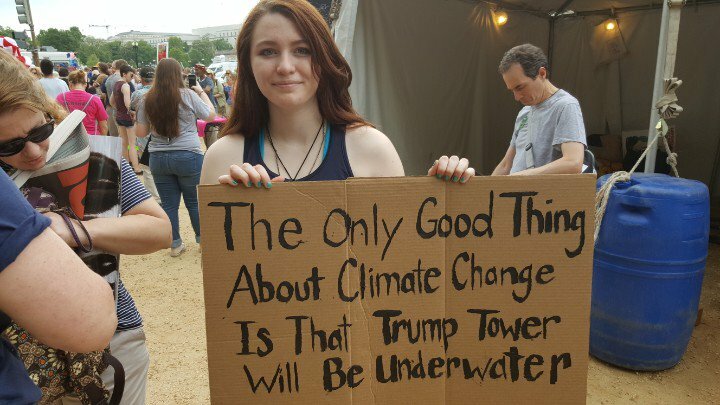 CFACT expected that bringing skeptical signs to the march would provoke discussion, but it instead provoked outright hostility. CFACT’s Craig Rucker and Christina Norman held the banner and fought off attempts to suppress free speech. 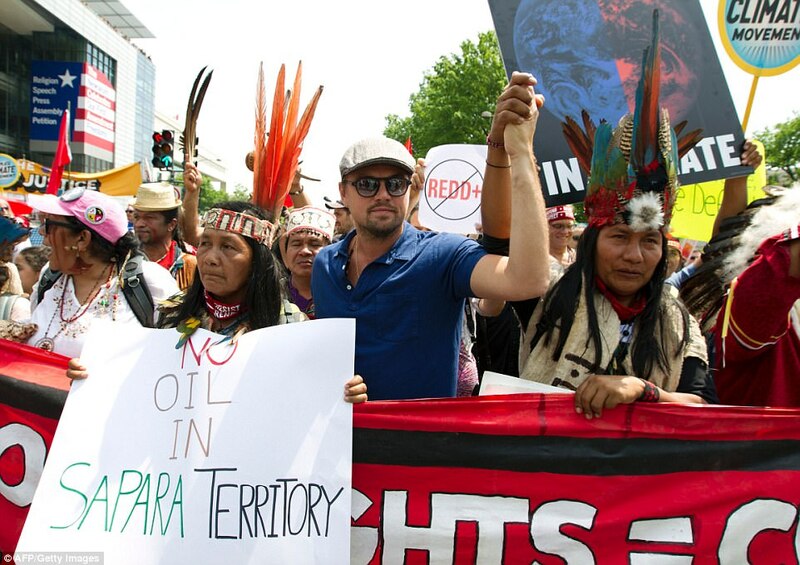 UK Daily Mail: Trump gets a load of hot air: Leonardo DiCaprio and thousands of green warriors – Actor Leonardo DiCaprio joined thousands of climate change protesters in Washington DC to mark President Donald Trump’s 100th day in office. 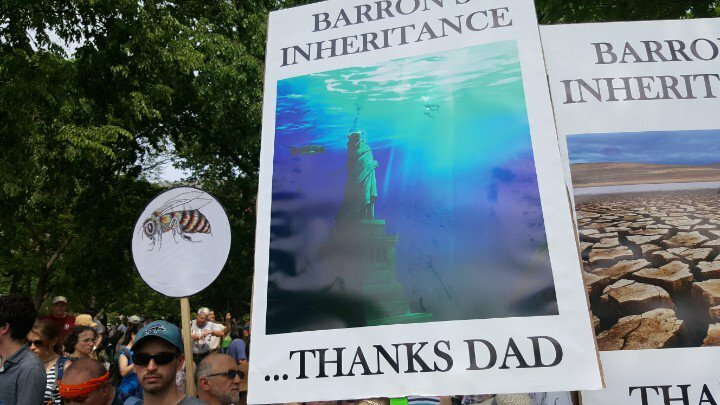 Large crowds gathered on Pennsylvania Avenue for the People’s Climate March, an event that saw about 300 coinciding protests around the country, according to organizers. 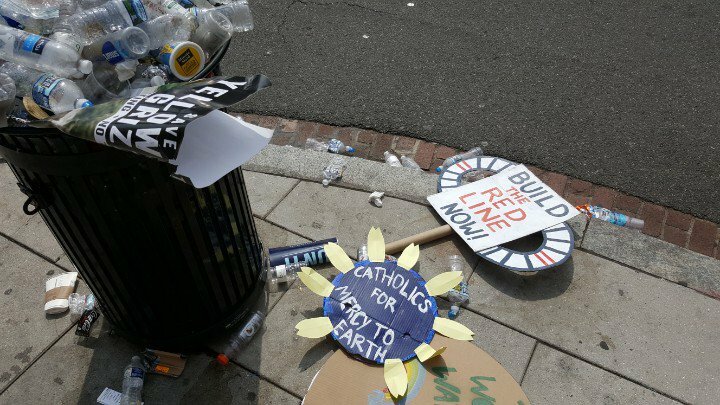 The mercury rose to around 90F in DC, and protesters brought their own water bottles and sunscreen as they warned about the dangers of global warming. 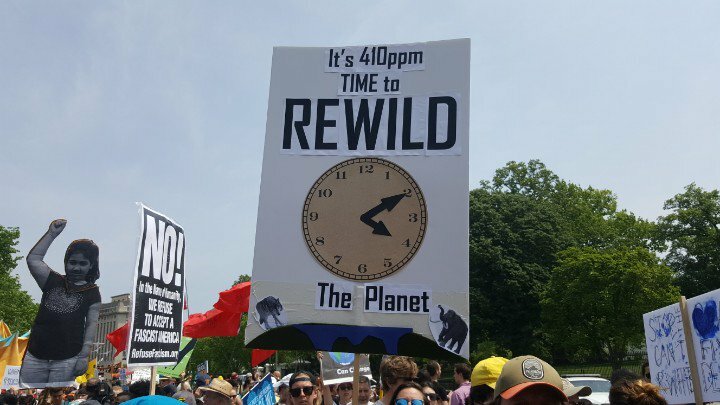 Holding signs that read ‘There is no planet B’, and ‘Make Earth Great Again’, the protesters say they’re objecting to the president’s rollback of restrictions on mining, oil drilling and greenhouse gas emissions at coal-fired power plants, among other things. 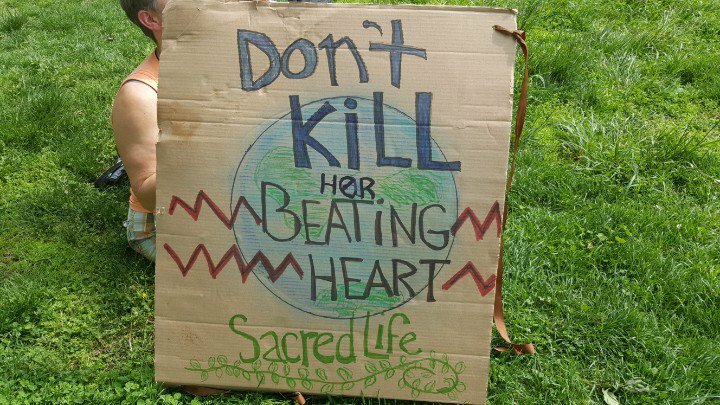 Gore Effect: The threat of a major snowstorm is already putting Denver-area climate marches on ice. With the Washington Postreporting on how the “sweltering heat” in our nation’s capital is providing a relevant backdrop for the “People’s Climate March” tomorrow, the foot of snow expected in Colorado tomorrow has already postponed one of the several planned protests in the state…But one out of the twelve protests in Colorado has already been postponed due to an impending snowstorm. The National Weather Service’s winter storm warning projects six to 12 inches of snow, but there is potential for up to two feet in the Denver Metro Area. 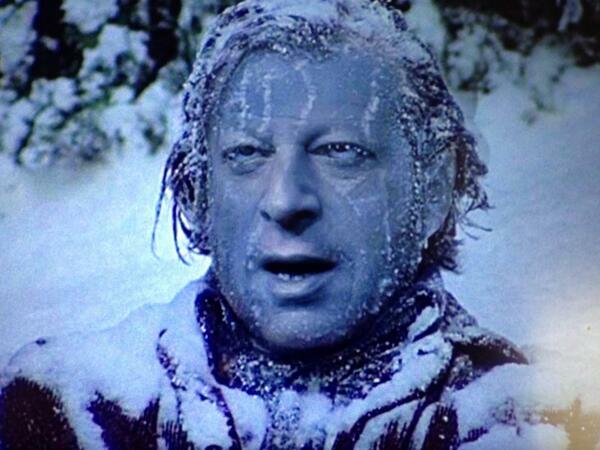 … In December, a small group of Colorado activists protesting global warming were similarly met with extreme cold.